CCS students consistently surpass the national average scores on the Stanford Achievement Test in the content areas of math, language and reading. Our students, on average, fall within the top 30% of all students nationwide taking this test. Our kindergarten and 7th/8th grade classes were in the top 10% and 20%, respectively in all content areas, surpassing the previous years' achievements. Most classes showed improvement from prior years' test results. *Grade equivalents reflect how students performed when tested on their respective grade levels. For instance: A GE (grade equivalent) of 5.3 for Grade 2 Reading means that this group of students performed as well as mid-year 5th graders could have performed on that test. Students in Classical Christian Schools consistently score above the national norms in standardized testing. The following national statistics were compiled and published by the Association of Classical & Christian Schools (ACCS). Classical Christian Schools are Producing the Best College-ready Graduates! 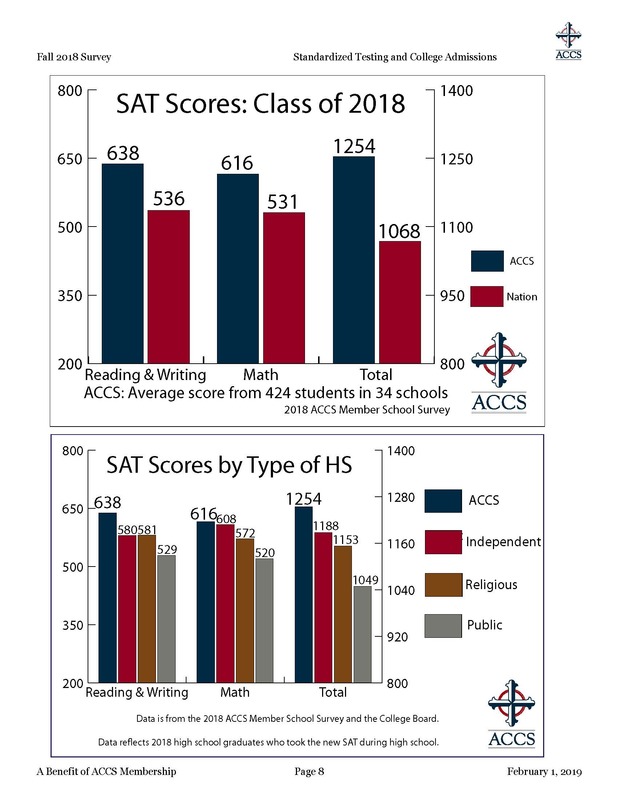 According to recent comparisons of standardized college admissions tests (see the SAT results below), Classical Christian school students score well above the national average. Even better, Classical Christian students are the highest performers among students from all other private and religious schools too! 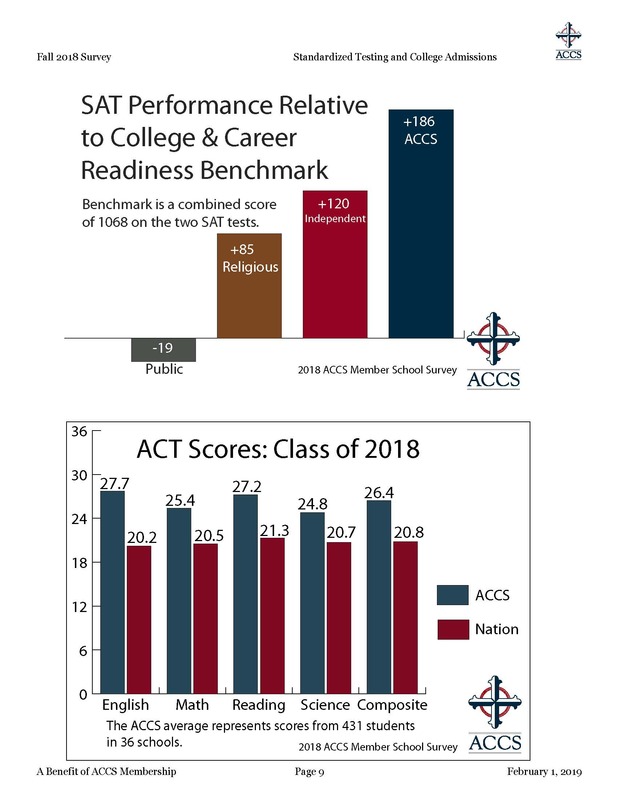 The reports also compare classical Christian students’ ACT scores and confirm our students lead the way in college and career readiness. We’re encouraged by this confirmation of our investment in classical Christian education. Our classical method of learning produces life-long learners with Biblical worldview reasoning skills that will impact their generation and help them lead many to eternal life in Christ. This proven method of learning is a primary part of what we call the Covenant Difference.